After a long Fn week. I bet you could use a Fn beer, am I right? Now, are you a fan of English style IPAs? They differ a bit from American style IPAs with their bitter yet smooth finish and a pronounced but never over-the-top hop character. American style IPAs tend to be much more in your face with the hops, slapping you with a big blast of hop aroma and flavor. American IPAs also tend to have, on average, a higher ABV than English style IPAs. 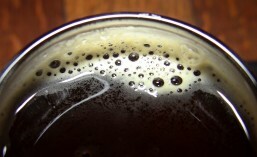 Foggy Noggin Brewing Company up in Bothell has lots of experience brewing English style Ales. In fact, it’s their specialty. Now, they’d like to devote a special day to just English style IPAs so, this coming Saturday, June 24th, Foggy Noggin will be hosting their first ever/first annual English IPA Tap Takeover. Flights of all 6 will be available, as well as pints and growlers fills – while supplies last. So, if you’re a fan of English style IPAs, or you’d like to learn more and find out if you’re a fan or not, plan on heading up to Bothell this Saturday and join Foggy Noggin for an afternoon of proper English pints. This entry was posted in Ale, Award Winning, Beer, Beer Ingredients, Best Of, Bothell, Brewing, Craft Brewery, Draft, English Style, Events, Flight, Hops, IPA, Local, On Tap, Pub, Rye, Seattle, Series, Spring, Spruce Tips, Summer, Taproom, Taps, Tasting, Washington, Washington Beer and tagged 2017, beer, Bothell, English Style, events, Flight, Foggy Noggin Brewing, IPA, June, seattle, Tasting. Bookmark the permalink.